There comes a time in life when it’s necessary to wear cocktail attire. Men often find the networking possibilities provided by cocktail parties can lead to valuable business connections, but in order to establish yourself as a credible professional your fashion style must play the proper supporting role. Consider these tips to intelligently select the best cocktail attire. Your invitation will provide the biggest clue of all, invitations usually state if the function is dress casual, business casual or formal. In the rare case in which no dress code description is highlighted assume that invitations by mail are formal and require cocktail attire. Men can safely dress casual when the invitation is received by phone or email. Discuss the attire with your date as you will be expected to complement each other’s styles; otherwise you will look as though you are going to two separate events. It is generally expected that in the autumn and winter months you will opt for darker and heavier fabrics as opposed to lighter fabrics and colors which are reserved for spring and summer months. As previously stated make sure to follow the dress code included in the invitation. In the event that you are still in doubt as to the dress code, definitely sport the formal cocktail attire. Men may choose to wear neatly pressed slacks with a white buttoned shirt and a quality sport coat in the event that the gathering is held in the afternoon. There is a general rule of thumb that cocktail parties after 6pm require formal cocktail attire. Men have reserved the business casual for early events, with the exception of weddings. Shoes will also play an important factor in terms of dress code, shoes with laces are best worn with the casual look and shoes that are worn for cocktail attire are lace free. This term is indicative of a laid back approach to clothing. California casual events are common on the west coast, but have gained some popularity in other parts of the country. Jeans, pullovers, sandals, and t-shirts are acceptable according to the California casual look. It has become widely accepted that the California casual look is more appropriate for IT firms, and technology, software design and computer engineers. Cocktail attire requires a suit and tie, or coat and tie. This definition allows for the flashy and trendier touches of tuxedo styles. Creative black tie allows men to incorporate boldly patterned cumberbunds or vests. This definition rules out jeans and indicates a conservative yet dressier look when compared to business casual attire. In a dress casual situation slacks and buttoned shirts are acceptable as compared to khakis and pullovers which are worn in business casual settings. Business casual allows for khakis, slacks, button down collars, and a sport coat. Wearing a tie to a business casual event is not necessary. This is the same as a black tie definition with a touch of flexibility. 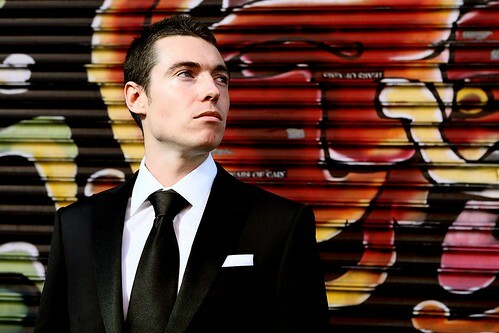 Formal attire is the same as black tie but allows for a tuxedo to be worn without a tie. Definitely wear a tuxedo. Do not think that a dark colored suit is acceptable. Make sure that you wear a classic tuxedo, there is no room for creative variations. This means that a tuxedo is preferable but you will not be refused if you wear a black suit and tie. Do not wear anything that is less formal than this. This definition indicates that you are welcome to wear a tuxedo but not required so long as you wear a dark (black or navy) suit and tie. For help and expert guidance in selecting cocktail attire men have been shopping at Este’s Men’s Clothing located at 1633 Northwest Glisan Street, Portland, OR 97209 since 1952. For any questions call (503) 227-0275 or visit http://estesmensclothingportland.com. Write us and let us know your questions about cocktail attire for men. Our expert fashion consultants will help you customize the best look for your event. PORTLAND, OR – Cocktail attire for men and the pursuit of the flawless custom suit has inspired thousands to come to the Rose City. In additon to being a fashion mecca Portland also boasts tax free purchasing, making it that much easier for tourist dollars to improve and boost the local economy. Local clothier Este’s Men’s Clothing caters to the needs of performers, athletes, politicians and business men from the US and abroad. This nationally acclaimed boutique has also attained the privilege and honor of being the only clothier in seven states to offer the formal-wear clothing line from national giant, Tuxedo Warehouse. Este’s earned this distinction based on the quality of standards and precision implemented to create the sharpest looks in cocktail attire for men. Tony Spear, President of Este’s Men’s says, “Cocktail attire for men is a man’s ultimate power suit.” Spear also reports that final fittings reveal how a man’s confidence is instantaneously magnified when wearing custom designed cocktail attire. Portland, Oregon’s premier top clothier also boasts a highly sought after “Club Room” that offers customers the luxury of a full-service barber shop, massage chairs, big-screen TV, fireplace, and old-style shoe shine to relax and unwind and recharge. Fittings are also accompanied by a complimentary cocktail from the club room’s bar. 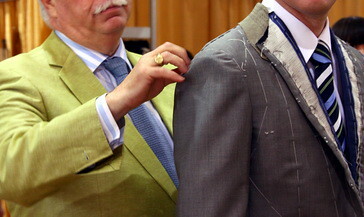 Cocktail attire for men, custom suits, and formal wear needs have been Este’s specialties since 1952. Located in Portland’s Pearl District at 1633 Northwest Glisan Street, Portland OR 97209, Este’s grooming lounge and club room are most definitely a “must see” tourist destination. Este’s Men’s Clothing can be reached at (503)227-0275 or online at http://estesmensclothingportland.com. This edition examines the history of the tuxedo and how a gentleman can wear a properly fitted Portland tuxedo rental or other cocktail attire to create an undeniable look of class and sophistication, and create a lasting impression. We also learn of the male hormone that complements the lasting impression with a long lasting expression. Then back to Portland to look at the successful business of movies and music before we wrap up with the Trail Blazers. Think oxytocin is just for cuddling? Think again. Researchers recently found that this cuddle hormone can dramatically improve male sexual performance—producing results on a par with Viagra. To select the Portland tuxedo rental that will make you look like a million bucks at your next event, peruse the excellent selection of tuxedos at Este’s Men’s clothing store at 1633 Northwest Glisan Street in the Pearl. Image experts are ready to assist you in creating a dazzling look. You can also reach Este’s online at www.estesmensclothingportland.com or by calling (503)227-0275.